It’s a drive along the fast flowing violent Chandra River till a place called Batal. Batal is 48 Kms from Gramphu. You should be able to forget paved roads now. The road is just gravel and dust, and don’t be surprised if you encounter a sudden landslide. You have to cross over streams, which flow across the road. But thats what a himalayan traveler is made for. You have the mighty Chandrabhaga Ranges across the river on the right to give you company thought out he drive. 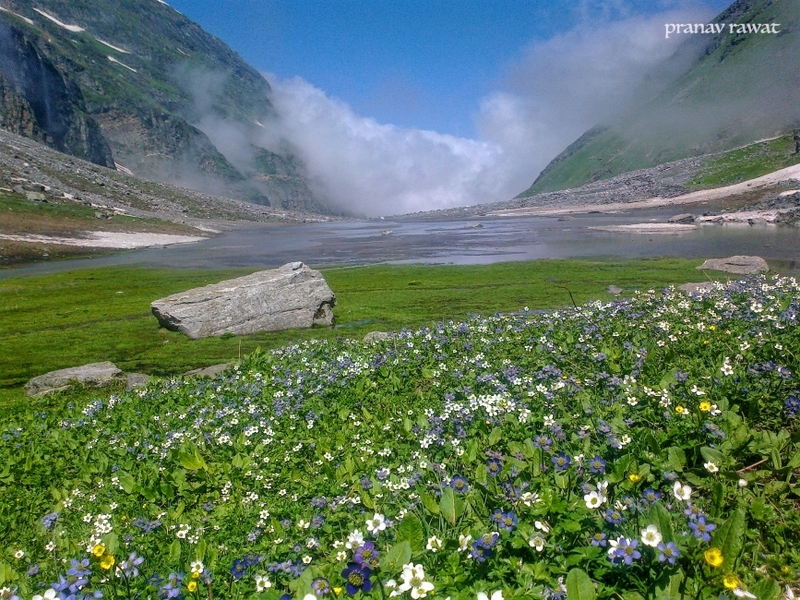 The Chadrabhaga ranges are popular among trekkers and mountaineers, because of the various prominent peaks here. Stations of Chattru and Chotta Dara fall on the way. They are stations in name only, having just a few dhabas which function seasonally. Batal is a located on the base of the mountain from where the road ascends towards Kumzam La. Batal is also a base for journeys towards Chandrataal and Bhara Shigri Glacier. Batal has a few dhabas which provide food and shelter for the night to the travellers. The most prominent on is the Chandra Dhaba, run by Dorzee family. The link road to Chandertaal goes winding up along a barren valley. The Road is unpaved and narrow and at places is just enough to have your jeep fit on the edges. At the backdrop are the beautiful snow capped Chandrabhaga ranges in which CB 13 and CB 14 are the most prominent peaks. 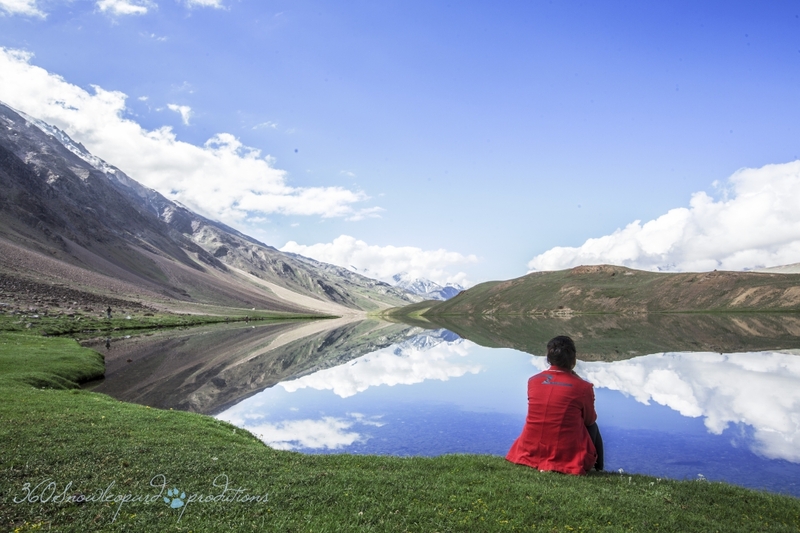 The distance from Batal to Chandrataal is 17 Kms, and the road cuts of the Spiti highway at about 3 kms from Batal. 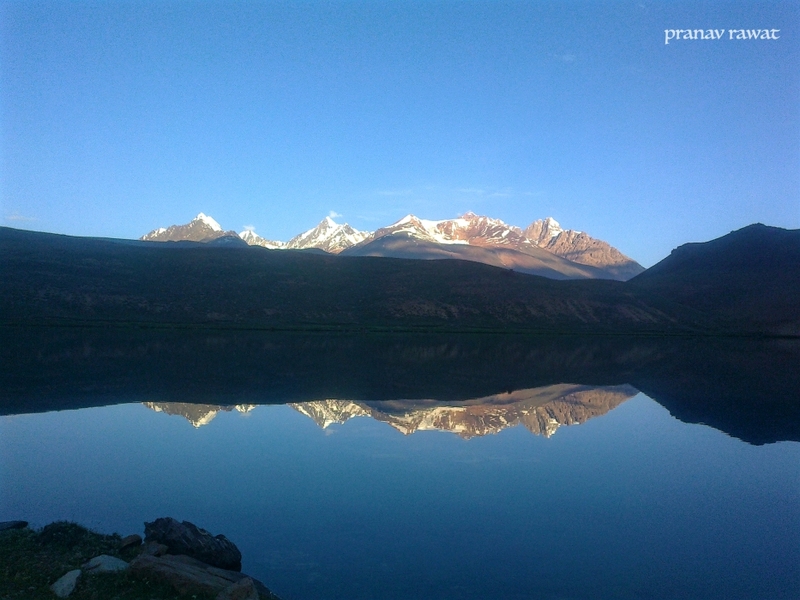 Chandrataal is a pristine lake located at an elevation of 4270. It is also called the “lake of the moon because of its present shape. The deep blue waters reflecting the golden yellow tinge of the adjoining mountains is a sight to behold. 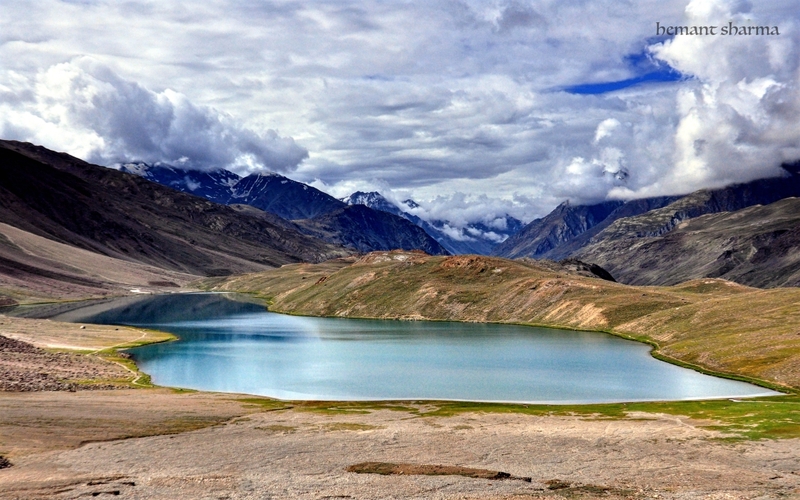 This lake is nestled at the base of Kunzam La. There is a trekking route from here to the Kunzam top. When you reach this place you have the feeling that God really created beautiful locations in far away lands so that only people who have the will to explore can reach there and enjoy the grandeur and solitude of such serene places. The Lake is about a Km in length and half a Km at its widest. It has a circumference of about 2.5 Kms. The best way to enjoy here is to have a walk along its banks. The area is greener towards the lake, and hundreds of tiny wild flowers bloom inthe summer months here. There is no permanent settlement in Chandrataal, as this place is assessable for a short period from Late June till September. There are a few camp sites which operate in the summer months. Trekking companies establish temporary camps as when their guests arrive. Chandrataal has amazing night skies during the summers, and if you are good with long exposure shots this is the perfect place for you. Chandrataal is a complete holiday destination if you are looking for a blissful holiday in solitude. Pic credits : Pranav Rawat and Hemant Sharma.